Last week my gorgeous Mister B celebrated his 2nd birthday!! Where have the last two years gone? My little baby boy is now a charming, cute little boy whose favourite phrase of the week is “I like birthday cake!!”. 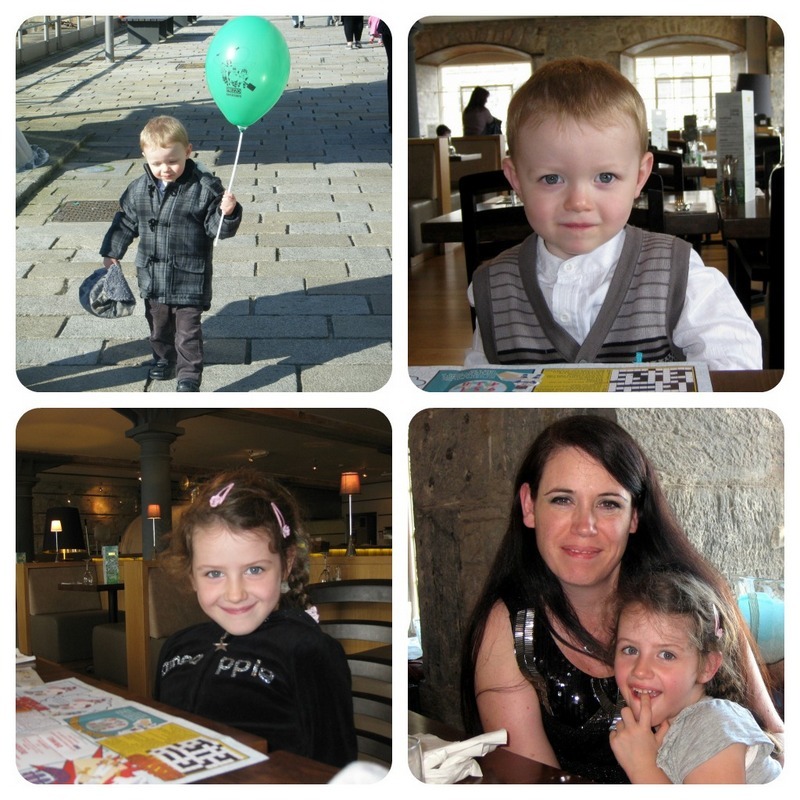 Instead of having a party this year we just had a small celebration with family at home but did pop out to Prezzo for lunch which my children love. I love the setting of the restaurant which sits alongside the water and is great to go for a walk along after your meal for a bit of fresh air. Mister B was a little grumpy when we arrived as it was 12pm and he was rather eager for his dinner but once it was brought to the table he got stuck right in. Miss M couldn’t wait for dessert, they both chose ice cream which comes with Miss M’s favourite, the Bambinocino!! 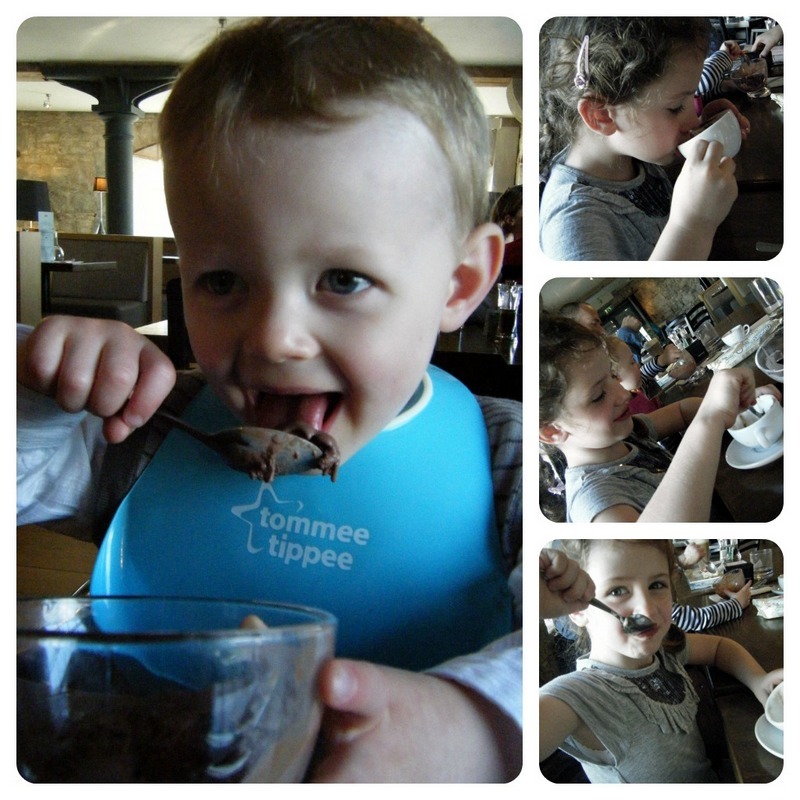 Being a huge fan Miss M devoured both her own and Mister B’s leaving her with a chocolate sprinkled milky moustache!! After a yummy meal enjoyed by all (lite pizza and salad for mummy but I did sneak a honeycomb smash cheesecake for dessert) we ventured back to the house for present opening and cakes. I opted for the easy option of cupcakes this year although they did taste rather yummy. Poor Mister B though didn’t really understand the concept of blowing out the candles and looked rather afraid but never fear, big sister is here. She couldn’t wait to blow the candles out on behalf of her baby brother – ahh!! And then to the present opening – Miss M took control here too, assisting Mister B in ripping off the paper to reveal his array of birthday presents. His favourites being his wooden railway, Happyland construction site and his Cath Kidston dinosaur merchandise (backpack, pyjamas, plate, dish & beaker and a set of play dinosaurs!!). A happy day had by all – congratulations Mister B!! 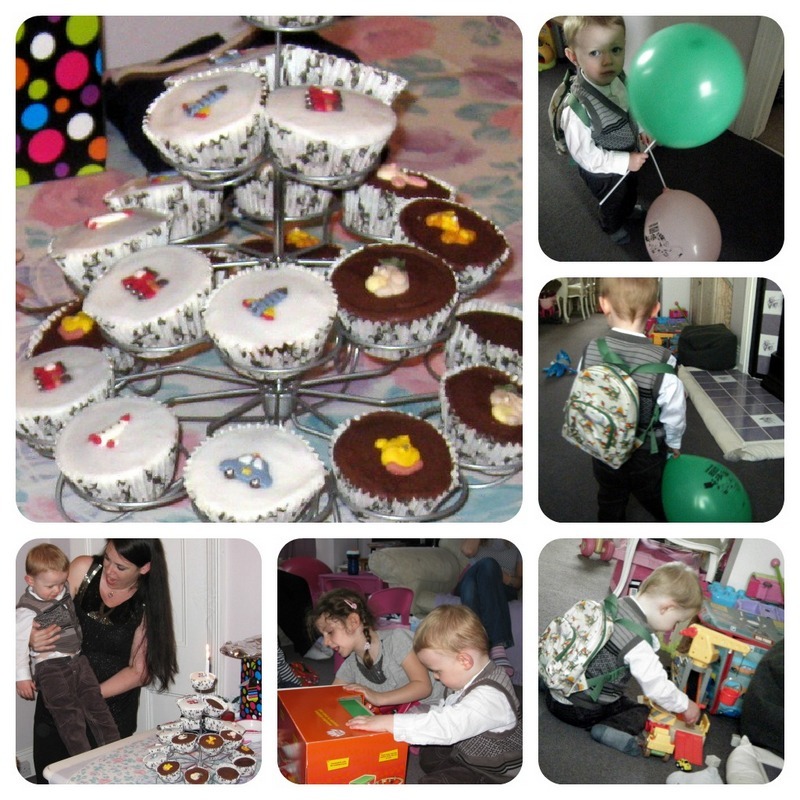 This entry was posted in Day to Day and tagged bambinocino, birthday, cath kidson, dinosaurs, prezzo by Fiona Martin. Bookmark the permalink.